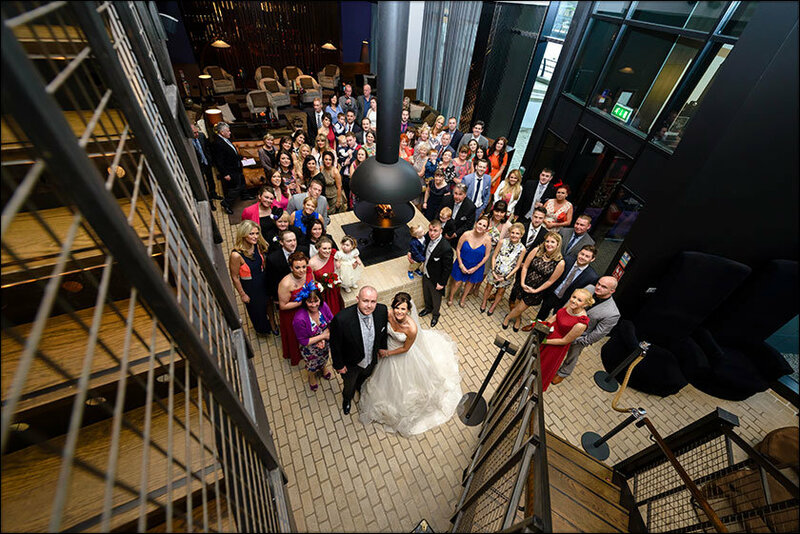 The Malmaison Liverpool wedding venue has to be the leading modern and contemporary venue in the North West? It makes no bones about being sharp, modern and slinky. From the decor of the rooms to the the Rock n Roll suites. 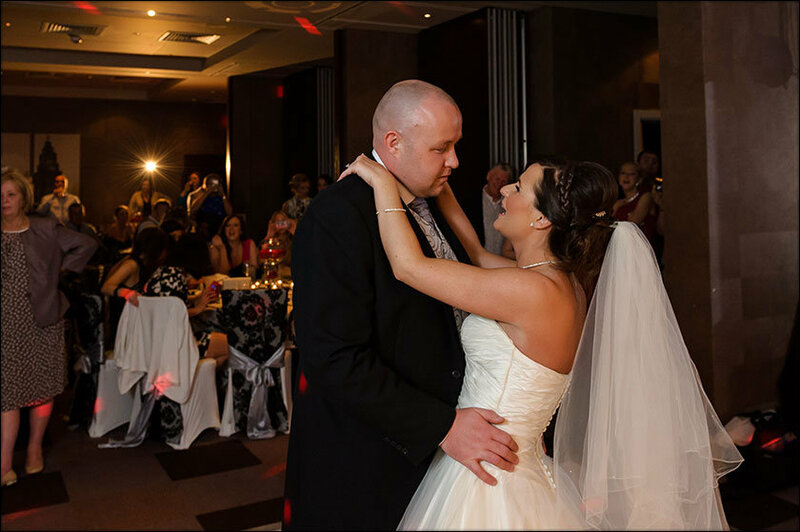 The Kop suite, Toffee shop or the stunning Plum Bar, this is a wedding venue thats rightly proud. For a modern and contemporary wedding in slick surroundings, this is definitely the venue. 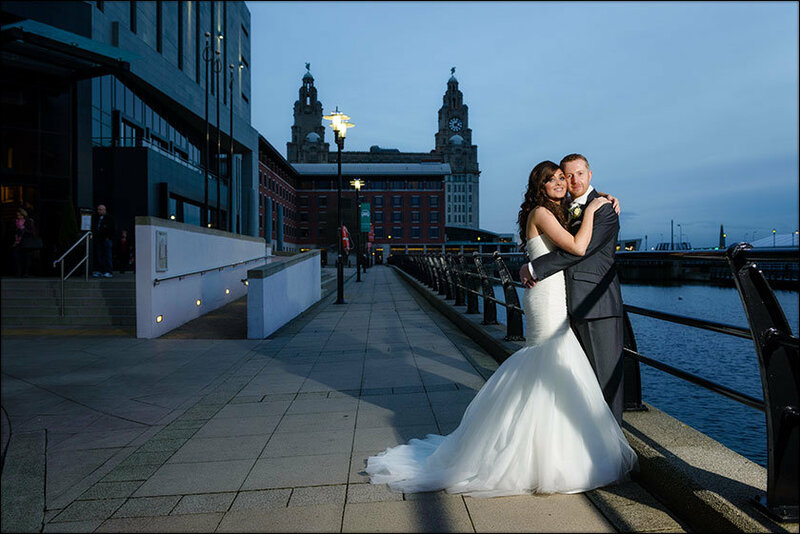 Its a great location too by the waterfront with the Liver building in the background. 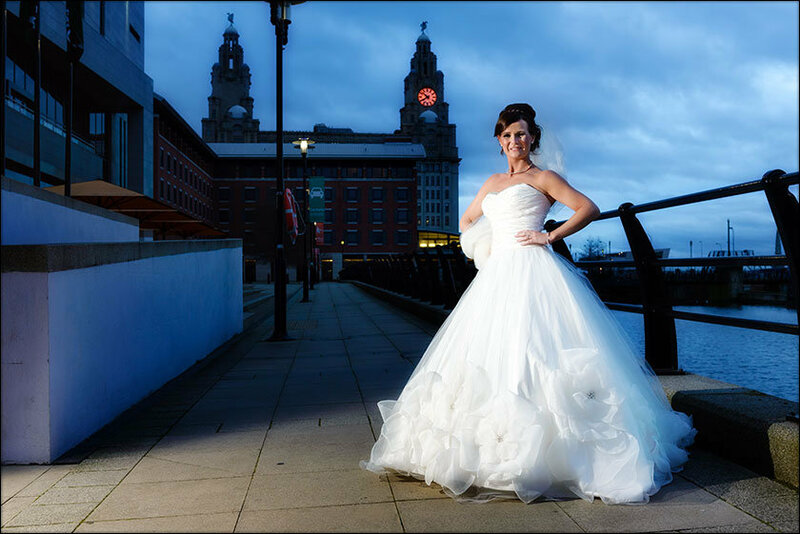 Its perfect for contemporary Liverpool wedding photography. 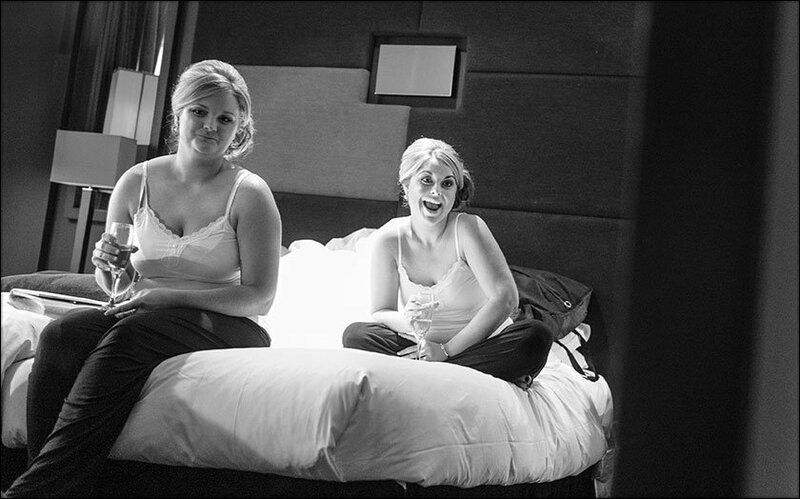 I’ve photographed many weddings at the Malmaison Hotel in Liverpool in all seasons and weather. It is perfect whatever the weather. It’s a striking venue and one I really enjoy photographing weddings at. 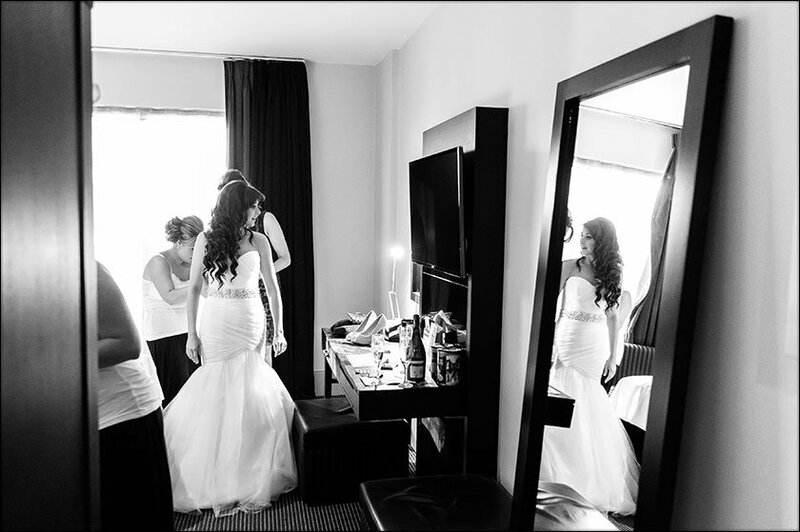 The rooms are perfect for bridal preparation photography. The ceremony room has lots of light (essential for great photography). The bars are funky and cool. There is lots of room for me to move around capturing your day. And, weather permitting the buildings exterior and waterside location are great. I love modern architecture it fits my wedding photography style so well. The colours here are bold and striking and I love that! Reception drinks at the slinky low lit Plum Bar stylish. 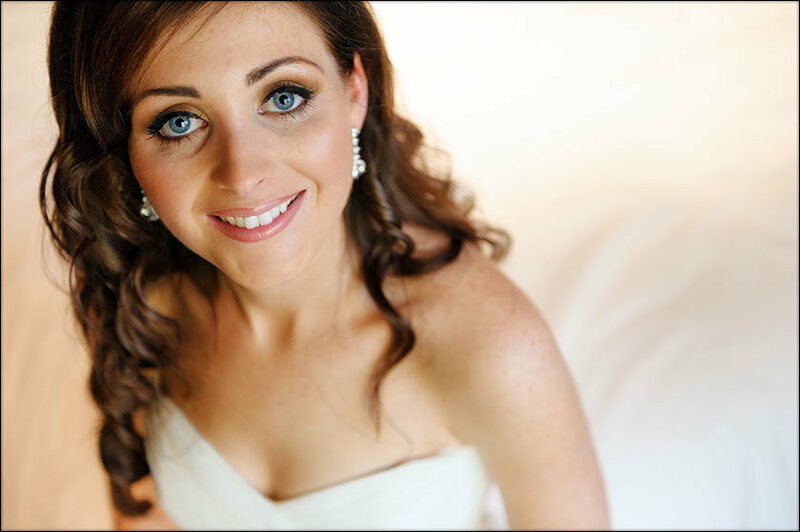 They require an experienced photographer to excel in such tough lighting conditions. 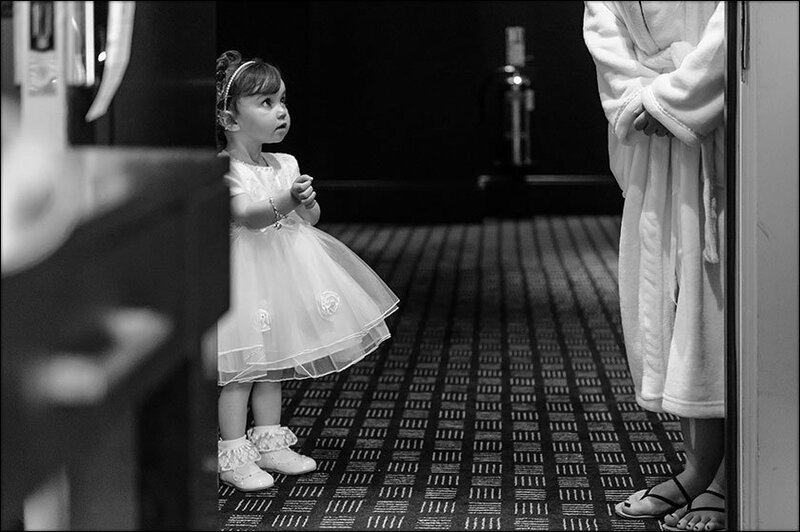 Done right wedding pictures at the Malmaison are simply stunning. The huge steel staircases provide a modern centre to your wedding. 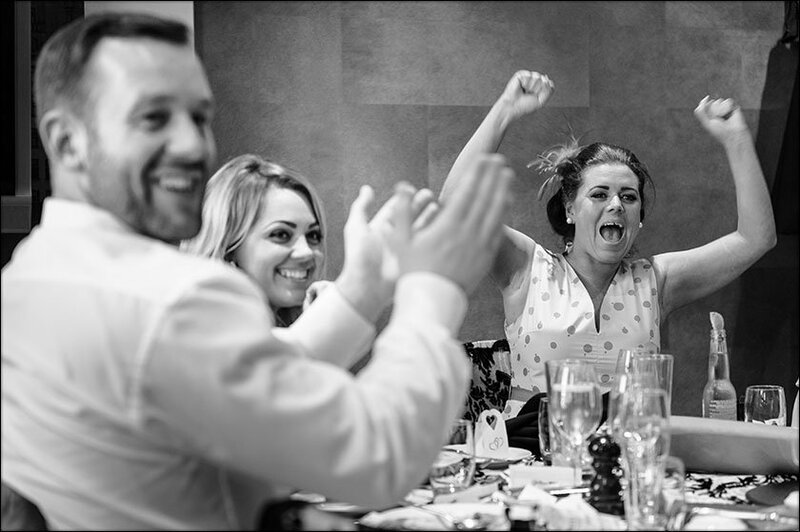 At the Malmaison Liverpool, every effort is made to make your wedding day perfect. The venue is incredibly flexible. 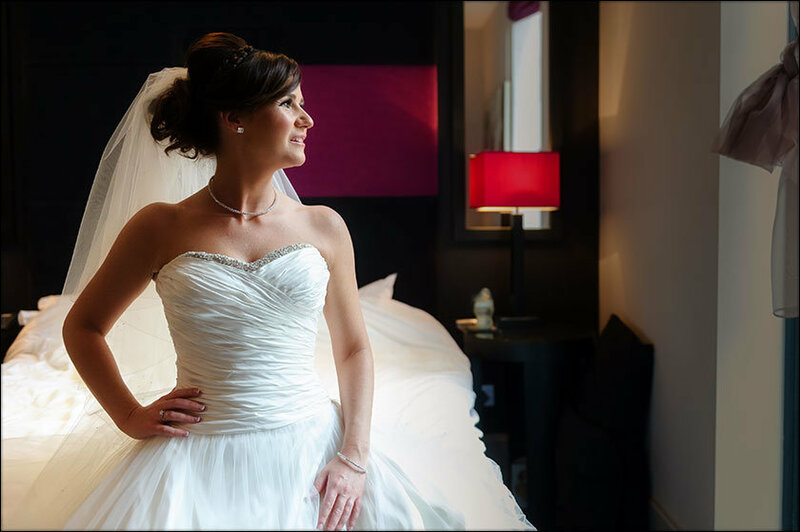 The Malmaison can offer rooms to accommodate anything from small weddings right up to catering for 100 guests. Situated with the River Mersey in the background. If you are a local or like me just love this fantastic city this is the venue for your wedding day. Enjoy your champagne reception at the private Veuve Clicquot Champagne Bar. This gives you and your guests stunning views across the water. Sample the outstanding hospitality in stunning surroundings. This is a venue that can offer you many alternatives. From watching the chef prepare your dinner to gorgeous private rooms. 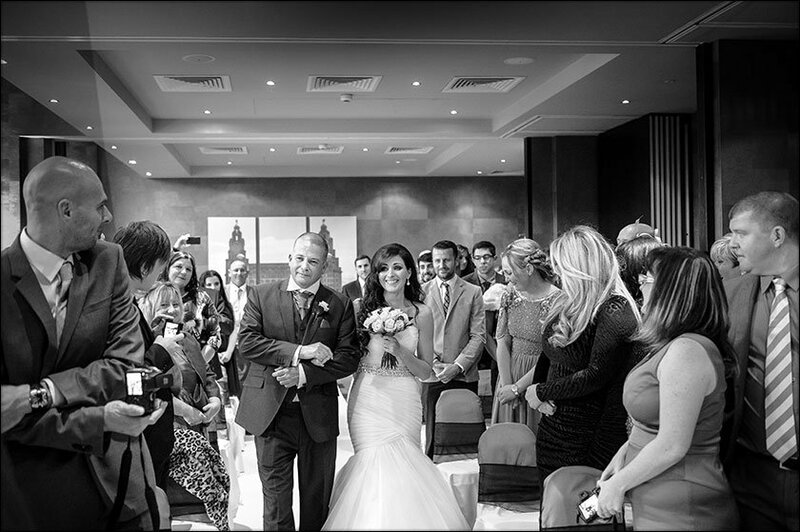 If you are planning your wedding service at the Liverpool Malmaison. It’s good to know that the registrars are simply the best. Nothing is too much trouble. They’ll make your wedding special. Importantly, the Liverpool registrars are extremely photography friendly. They give me unhindered access so I can capture your wedding ceremony in full. Its one of the reasons I love photographing here. Obviously I’m extremely discreet and respectful you’ll hardly notice me. I’ve been photographing weddings a long time and this shows. Not just in the quality of my images but also how I work. I promise a relaxed approach to your photography. 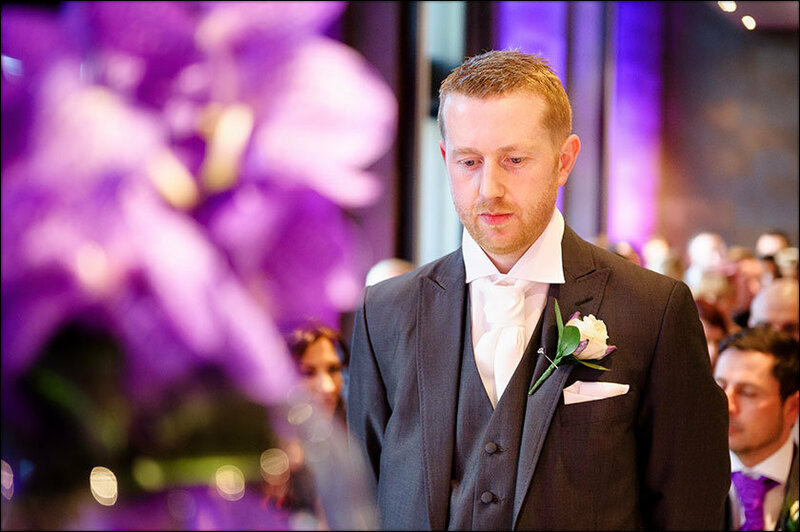 If you are getting married in Liverpool and want a professional wedding photographer I’d love to hear from you. During my years as a North West wedding photographer I have photographed weddings in most of the top venues here. As well as the Liverpool Malmaison here is a list of other venues I have reviewed for you.